The object in question is the rectangular bit in the top left quadrant of the above photo. This attachment is seen on most Australian Centurions that are still able to be examined. It appears on the forward part of the turret roof plate and appears to protect a bolt that goes through the turret roof. Thanx to Matthew McMahon (Centurion owner). 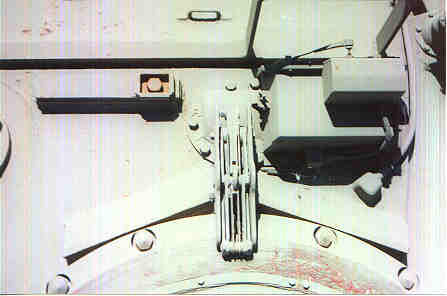 The top photo shows the external access to the link arm header tank. 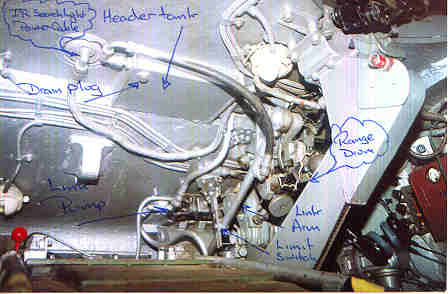 This photo shows the link arm header tank from the inside of a Centurion turret.